If your horse is suffering from neurological trauma, an allergic reaction to vaccines or swelling, DMSO liquid can help alleviate some of the pain. DMSO creates a large amount of heat where it is applied. If you’ve been considering DMSO liquid for your horse(s) or wondering how to use DMSO on horses, we’ve got some helpful information for you. DMSO has many benefits and can be helpful in getting your horse back to 100%. We recommend always using gloves when handling DMSO liquid or gel, as the smell is very potent, it quickly absorbs in to skin, and can have some negative side effects. If DMSO comes in contact with your skin or clothing, be prepared to smell like rotten garlic for several days. To apply DMSO liquid to your horse, begin by adding it to a separate container to prevent contamination of the original bottle. Once the skin has been cleaned, DMSO can then be applied to the skin with a brush or cotton ball. DMSO’s ability to penetrate skin makes it a great transport medium for other medications that need to be absorbed. It’s important to make sure that the skin is clean and free of any substances or medication that may become harmful if combined with DMSO. DMSO liquid or gel can also be used for sweat bandages. Doing so can help with inflammation or swelling, if your horse has been stall-bound or experienced a strain or sprain. Our DMSO liquid gallon size is 99% pure, Pyrogen Free, and Acetone free. It’s our most popular DMSO product, as it allows you to apply several applications to your horse without the worry of running out of product prior to them being fully recovered. We recommend consulting with your vet about DMSO use prior to treating your horse. Help keep your horses pain-free and healthy with the help of equine supplies available at Medi-Vet! Owning a pet requires a certain amount of responsibility. You have to provide a number of basic necessities for them, such as shelter, food, health care, love, and physical activity. These things come second nature to many, but for those who are new to pet ownership, there are often questions that need to be answered. For example, what kind of foods are toxic for dogs? 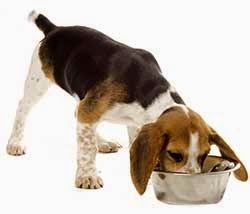 Though you should always make sure that you’re feeding your dogs quality kibble that won’t make them sick, there are certain human foods that aren’t safe for dogs. Pet food toxins are a serious matter that can result in death for your pet. One of the most common people foods that can kill your dog is chocolate, and the toxicity increases as the chocolate gets darker and richer. If your dog has ingested chocolate, signs that they may be suffering from chocolate poisoning include vomiting, abdominal pains, diarrhea, or seizures. As a reminder, please keep all chocolate away from your furry friends. For dogs, grapes and raisins are a definite no-no – and unfortunately, the exact substance resulting in its toxicity is not yet known. Grapes can lead to acute renal (kidney failure), resulting in your dog’s health taking a rapid turn for the worse. Your pet is unable to filter out toxins through urine production when kidney failure occurs, and as a result, they can die within a matter of days. If your dog has ingested grapes, it’s likely that they’re going to become lethargic and will have a decreased appetite. Other symptoms to be on the lookout for are diarrhea, vomiting, abdominal pains, and muscle weakness. A sugar substitute often found in sugar free gum, baked goods, toothpaste, and mouthwash, xylitol can quickly cause problems for your pet if ingested. Xylitol is a good sugar substitute for diabetics; unfortunately, it does not react with a pet’s body the way that it does with a human’s. When ingested by your pet, xylitol is quickly absorbed in the bloodstream and releases insulin rapidly – as a result, hypoglycemia can occur. The insulin is released within an hour of ingestion and can become life-threatening if left untreated. In extreme cases, liver failure can occur. We recommend making sure that any gum left in your purse is out of reach of your pet, so that they don’t treat themselves to a toxic treat. Though nuts are a healthy and tasty snack for you, they do not have the same health benefits for your pet. Almonds can be a bit hard for your pet to digest, resulting in an upset stomach. Macadamia nuts present the biggest issues from the nut family and can cause toxic poisoning. Ingestion of macadamia nuts may weaken your pet leading them to lose the ability to control their hind legs. Other symptoms include vomiting, hypothermia, tremors, and depression. As a result, they should be avoided at all costs. Moldy nuts should also be avoided, as they can be poisonous as well. It should be noted, however, that peanuts and peanut butter are healthy options for your pups to enjoy. Though not as dangerous as the foods listed above, avocados can certainly cause your pet plenty of grief. The toxic substance in avocados is called persin, and it is mostly found in the leaves and skin. Ingested in excessive amounts, your pet can experience anything from a mild upset stomach to vomiting and diarrhea – or even issues with the heart. Dogs often don’t know better as to what will be harmful if ingested. If you are going to feed your dog or cat people food, please stick to safe foods (ex: rice, carrots, apple slices, and green beans). If there is something you’re unsure of when it comes to feeding your pet, please contact your veterinarian for confirmation. Find a large selection of healthy food and treats for your dog at Medi-Vet.